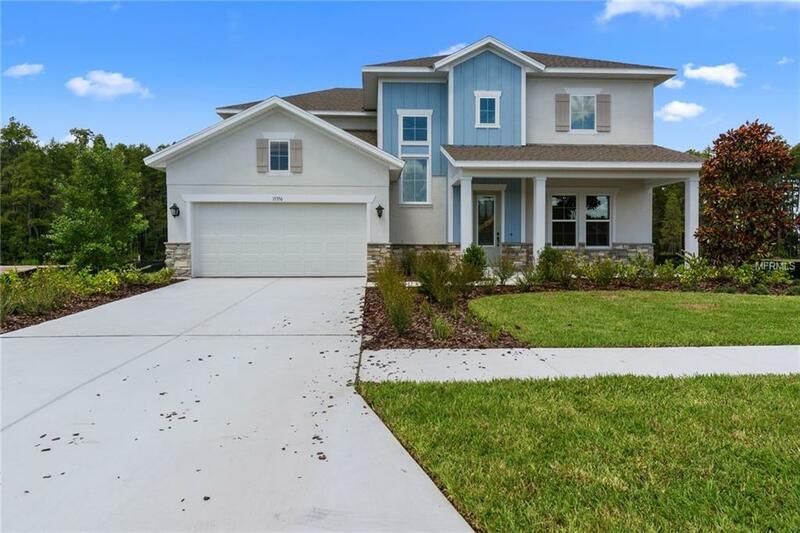 Brand new David Weekley Home. Come in and look around the Baycrest floor plan. This Two story home is located on a homesite that backs up to conservation with an amazing view. It has 4 bedrooms, 3 bathrooms a study, retreat and 3 car garage. Another signature David Weekley Open Plan concept where everyone can eat at the kitchen island or in the dining area and still be involved in family activities. The kitchen as well as the main area of the home is complete with wood flooring, amazing white cabinets on the perimeter and Espresso on the Island, with crown molding and a beautiful quartz countertop/island. Did I forget to mention the designer appliance package with Grill Cooktop, built in oven and microwave and a stunning backsplash. In this home, you're Just steps away from the resort-style community pool and fitness center. There's something for everyone. Come see today. It's a home and lifestyle you'll love!